Summer is right around the corner, and that means it’s time to start thinking about your next family beach trip! With pristine white-sand beaches and sparkling emerald water, 30A, Florida, is the perfect place for fun in the sun. Before you go, you’ll want to make sure you have everything you need for an unforgettable vacation. Check out these great tips for packing the ultimate beach bag. Then, request our free 30A Vacation Guide for even more recommendations about things to see and do along the Emerald Coast! Hit the beach in style with a fabulous new bag! Whether you’re looking to color-coordinate your entire beach ensemble or opt for a chic-yet-classic look, your beach bag says a lot about your personality. Look for a tote with separate compartments so you can keep everything organized. A typical summer day on 30A is sunny and 80 degrees. Whether you plan to snorkel, paddleboard, or simply lounge by the water, sunscreen should definitely be on your beach bag checklist. Protect your skin and maximize your time in the ocean with waterproof SPF (at least 30—don’t worry, you’ll still be able to get a tan). Make sure to bring plenty of it. You’ll need it for all of your beach adventures! If you are going to bring electronics to the beach, you’ll want to protect them from the sand and surf. Cover your phone with a waterproof case and put other valuable items into resealable plastic bags. It’s also a good idea to have a few extra water-resistant bags for wet swimsuits and towels! Whether you need to charge your phone or Bluetooth music speaker, it’s always a good idea to pack a portable charger just in case. Many of them are small and lightweight—perfect for your beach bag! This may seem like a no-brainer, but it’s one of the best tips for packing the ultimate beach bag! Your towels will likely take up the most room inside your tote. To free up more space, roll them up tightly and place them underneath smaller items. If you are bringing a floppy sun hat, you can also pack a towel inside to keep it from getting crushed. 6. Don’t Forget a Camera! Family photos on the beach are the best way to capture and remember the amazing time you had with your loved ones. 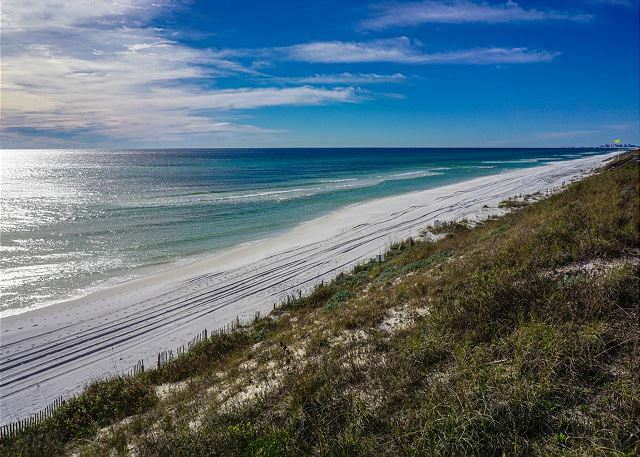 30A is famous for its beautiful beaches, so you’ll find plenty of opportunities to take a family photo here! Pose for a group picture in front of the crashing waves or snap a candid of the kids building sandcastles. The ocean is crystal-clear, so we recommend bringing an underwater camera for some truly incredible shots! Don’t forget that Your Friend at the Beach offers year-round, stunning beach photography as a Concierge Service! When you’re on vacation, the last thing you want to do is lug heavy items to the beach and back. Consider renting equipment through our Concierge Service instead! Whether it’s a crib for your little one or a beach bonfire with chairs, our team can provide everything you need for a fun-filled day at the beach. Pack Your Bags and Head to the Beach! Now that you know all of the best tips for packing the ultimate beach bag, it’s time to start planning your trip to 30A! When you book your stay with Your Friend at the Beach, you are guaranteed to experience 30A to the fullest. 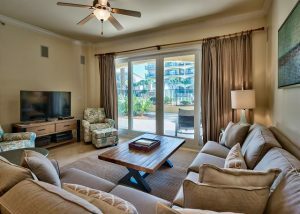 Our Gulf-front properties include premium resort amenities and are near all the best 30A attractions. When you stay in our Adagio, San Remo, or Villa Coyaba condos, you can relax knowing that you are just steps from the shoreline. What are you waiting for? Check our availability and start packing your beach bag today. We can’t wait to welcome you!